Manufacturer, Exporter and Supplier of Thredolet in India. We are offering Threadolet to our client. We are offering Stainless Steel Sockolet to our client. - Range : 15 NB upto 100 NB 3000 LBS & 6000, 6 NB upto 600 NB (Weldolet / Sweepolet) SCH 5S, 10S, 10, 20, 40S, 40, STD, 60, 80S, 80, XS, 100, 120, 140, 160 & XXS. 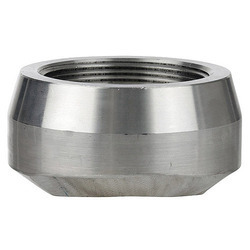 - Stainless Steel : ASTM / ASME SA 182 F 304, 304L, 304H, 309H, 310H, 316, 316H, 316L, 316LN, 317, 317L, 321, 321H, 347, 347 H.
Specifications ANSI/ASME B16.11 Forged- Fittings, Socket Welding Threading. 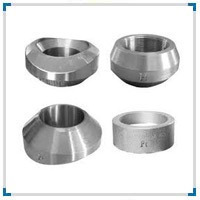 Our clients can avail from Navgraha Steel & Engg Company, a wide range of Threadolet that is fabricated from nickel alloy. These Threadolet are hot dip galvanized and electro polished, and thus are reliable in performance and functional for longer time.